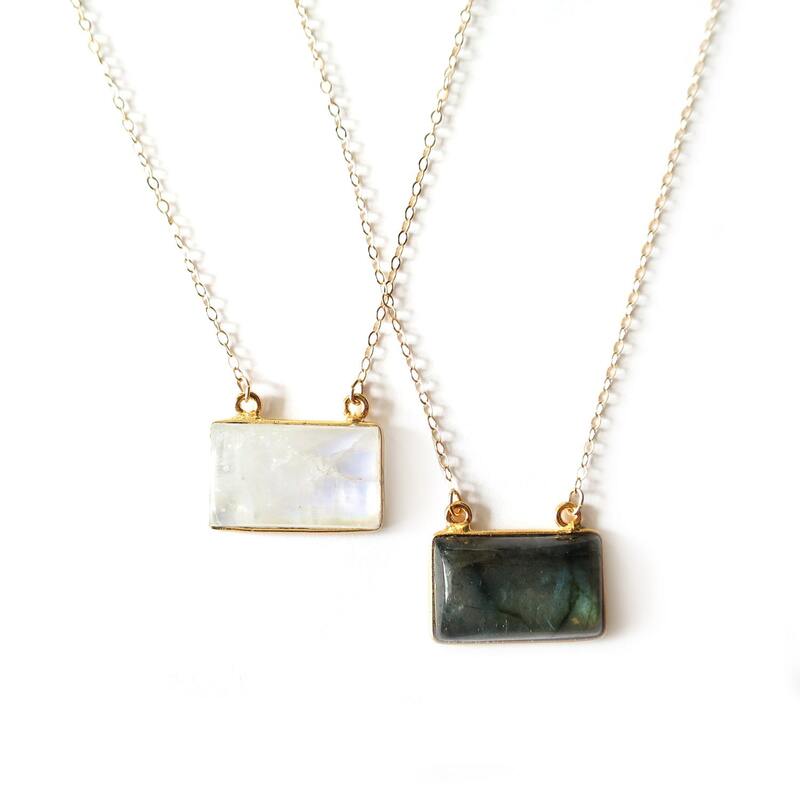 These moonstone & labradorite pendants are stunning. 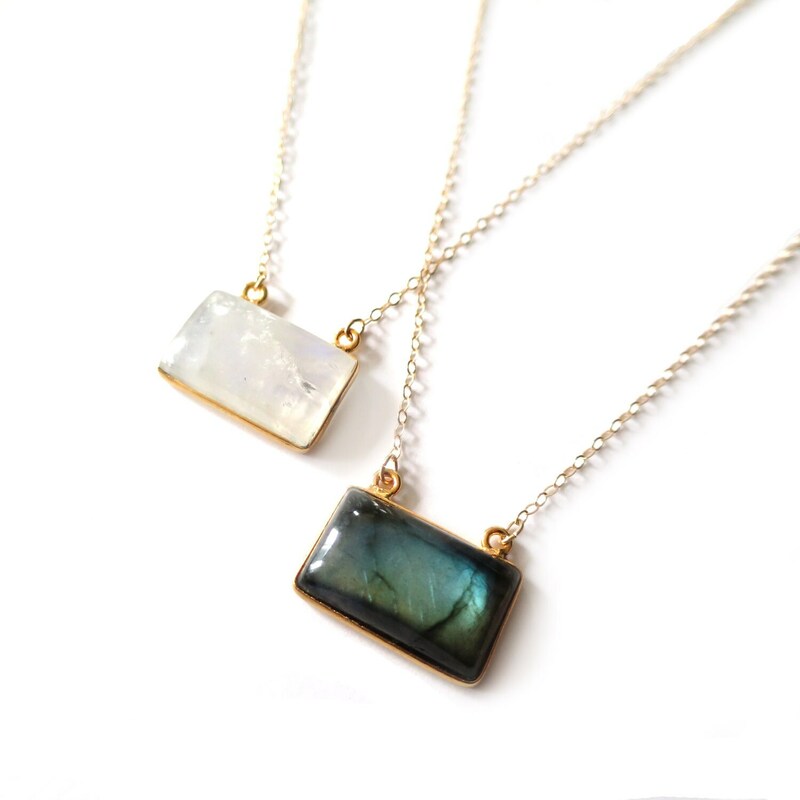 They are brightly polished and convex for some gorgeous luster with all the hallmark characteristics of a high-quality moonstone & labradorite: flashes of blues and greens with a beautiful iridescent luster. I hung it on a delicate little gold filled chain. Pictures didn't do justice to this piece. 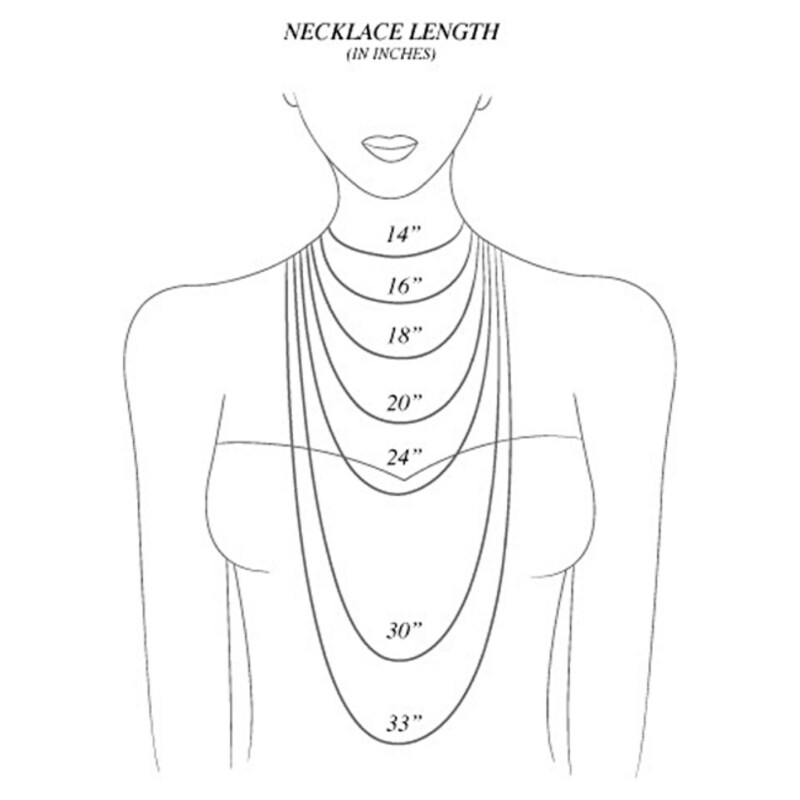 It makes a beautiful everyday necklace, but is pretty enough for a wedding. 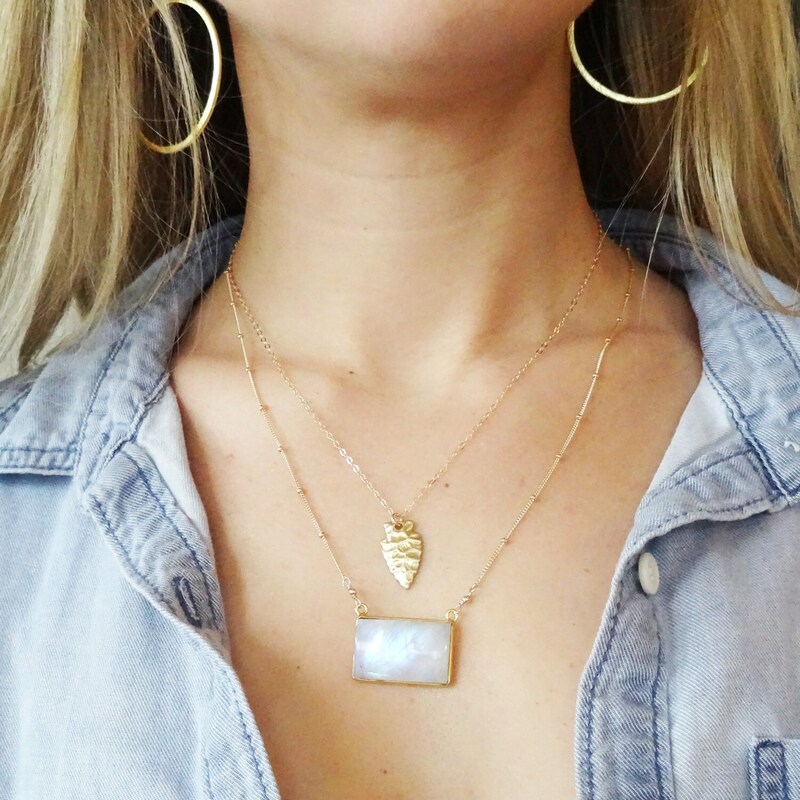 Please note: the labradorite or moonstone pendant you receive may not be the same as the one in the photo, but all are comparable in size, quality and shape. » Rainbow moonstone rectangle - see third photo for a size reference. 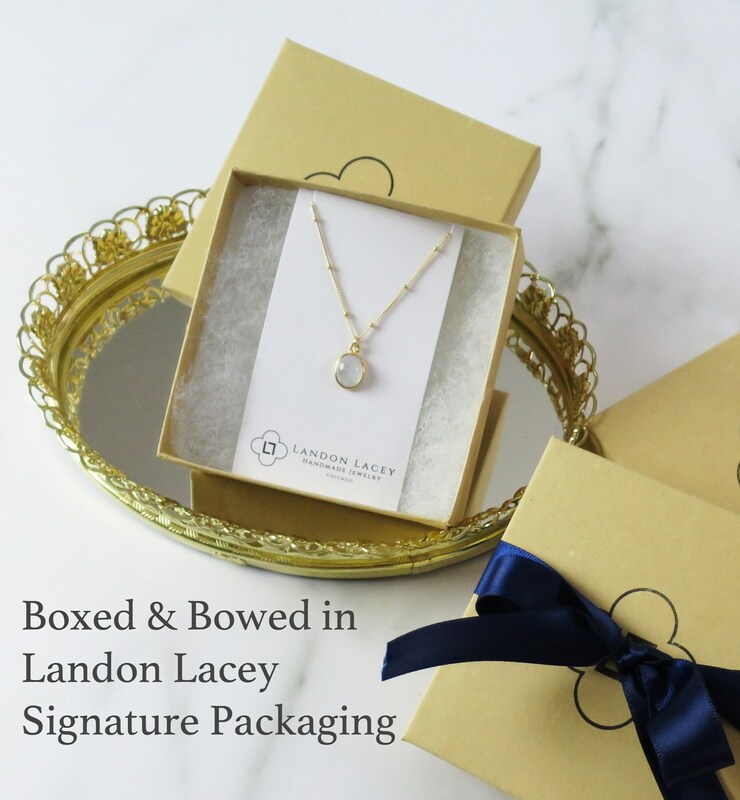 The model is wearing the moonstone necklace at 18"
I honestly have nothing but great things to say about my overall experience buying from LandonLacey. First and foremost what really impressed me was the quick response of my inquiry about a piece. Within minutes I received a friendly reply. I ordered this particular moonstone necklace as a gift and hope that the receiver will be as joyed as I was when my eyes saw the final product. The necklace is super cute and came packaged in a nice gift box. I look forward to purchasing more items from this shop! I love this necklace! I totally spaced when I was ordering and I bought the moonstone instead of my intended labradorite. When it came I fell in love with the white stone. I'm planning on getting the darker one as well! !